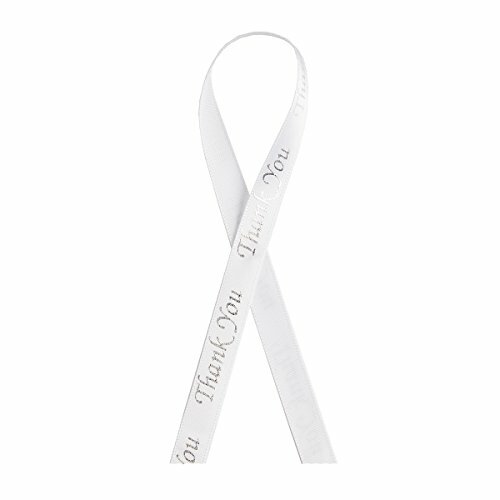 Personalize favor jars or bags using this thank you ribbon from Darice. Make mini paper boxes for your wedding favors, and decorate them with this silver-printed white ribbon. It is also apt for home decor and craft projects. This text ribbon is priced by the spool. 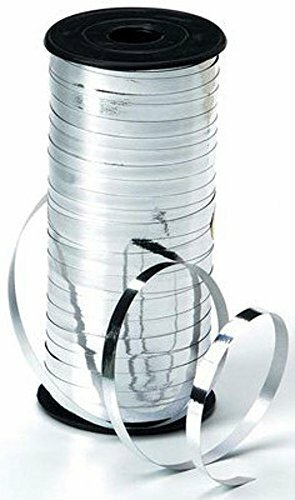 Each spool of silver printed ribbon measures 3/8 inch x 5 yards. 1 spool per package. Darice Sequin Ribbons add a novel look to jewelry, gift wrap, card making and more. The Sequin Ribbon is 36 Inch in length and .47 in width. Each pack has two ribbons, one circle and one square shaped. DARICE-Bling On A Roll. Create brilliant elegant accents to your accessories with bright glittering mesh. Simply cut the flexible roll of diamonds into long ribbons perfect squares diamond shapes or simply trim to size. Use the bling to make the perfect accent for holiday and party decor floral arrangements scrapbooking and more. The versatile mesh easily glues or tapes to a variety of surfaces. There are 8 rhinestones per row. This package contains 2 yards of 3mm wide bling on a roll. Design: Black/Silver. Imported. DARICE-Bling On A Roll. Create brilliant elegant accents to your accessories with bright glittering mesh. Simply cut the flexible roll of diamonds into long ribbons perfect squares diamond shapes or simply trim to size. Use the bling to make the perfect accent for holiday and party decor floral arrangements scrapbooking and more. The versatile mesh easily glues or tapes to a variety of surfaces. There is 1 rhinestone per row. 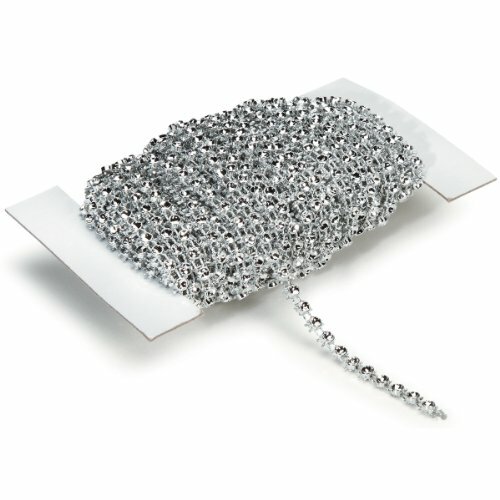 This package contains 10 yards of 3mm wide bling on a roll. Design: Silver. Imported. 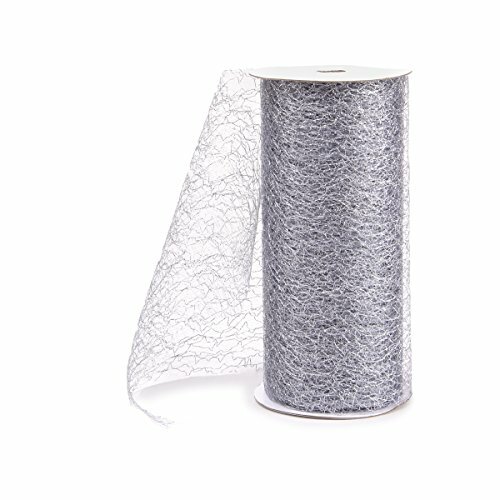 Darice bling on a roll - silver - 2 row - 3mm x 5 yards. 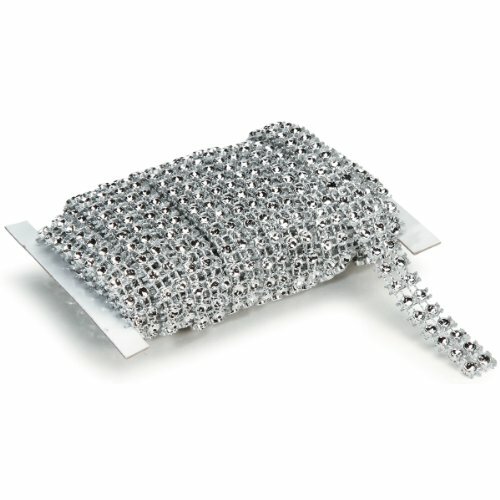 This mesh ribbon includes multi-faceted metallic gems that sparkle like rhinestones. 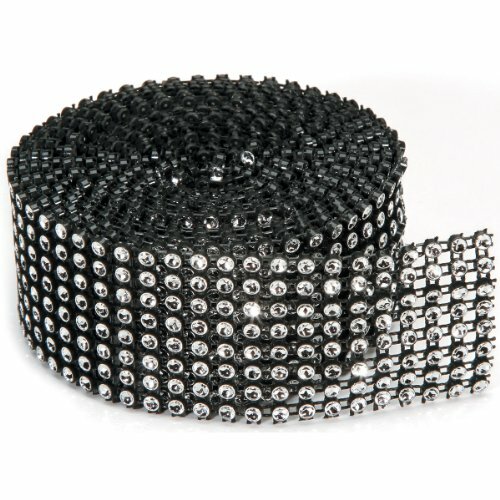 Simply cut the flexible roll of "diamonds" to size and adhere to bling-up any craft or decor project! 1 piece per package. press play to learn how you can use bling on a roll to embellish jewelry, decorations, frames, candles, vases, and more!. Darice's prayer box charm is a great addition to your beading and jewelry project. 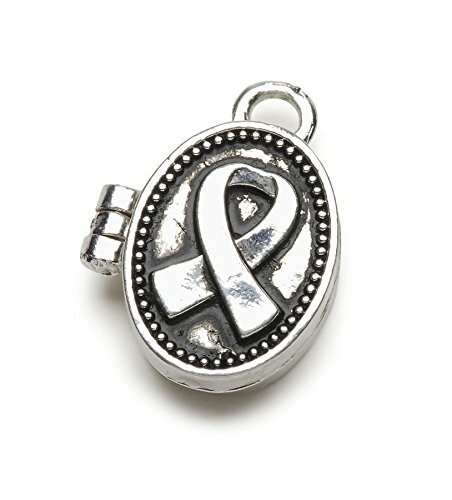 The charm has an antique silver finish. The design is a cause design. The Darice metallic mesh is perfect to create fabulous party and wedding decorations. Team it with planter pots to create pretty decor accents. You can also combine this silver mesh with colorful ribbons to decorate a day of the Dead Skull. Make a stunning wreath with this decorative mesh, burlap strips, pine cones, and Fig leaves. Looking for more Darice Silver Ribbon similar ideas? Try to explore these searches: Seed Packet Favors, Rf Line Of Sight, and Espresso Saddle. Look at latest related video about Darice Silver Ribbon. Darice® Bling on a Roll - Add Sparkle with Rhinestone Ribbon! Shopwizion.com is the smartest way for online shopping: compare prices of leading online shops for best deals around the web. Don't miss TOP Darice Silver Ribbon deals, updated daily.